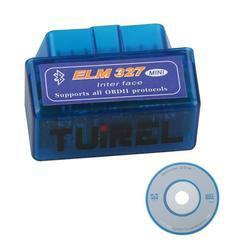 Owing to the years of industrial experience, we have been able to serve our valued clients with a wide range of ELM327 Mini Bluetooth. We would like to introduce our clients with the Bluetooth Dongle, which is a technology used to establish connection between two wireless systems. This Bluetooth Device can connect computers & laptops with each other or other connect other devices like mobile phones. Through this, sharing data becomes easy and convenient without wires. -2CH Portable Bluetooth device supports headset and handsfree A2DP, AVRCP formats. Plays stereo music files via Bluetooth A2DP profile from a mobile phone, PC or MAC, . Green Web Software Development P. Ltd.